James lives with his Aunt Sponge and Aunt Spiker, the most revolting Aunts in England. They make him work and slave and never let him play with other children. Then one day he meets a mystical old man who gives him a bag that contains the strongest magic the world has ever known. 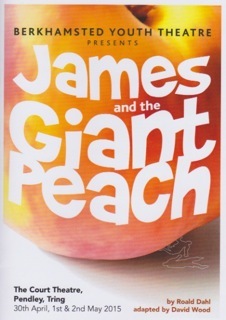 When James accidentally spills the bag near an old peach tree, the most incredible things start to happen â€“ and James embarks on the adventure of a lifetime!